What kind of statement does your home make? Whether your taste is traditional, modern, or somewhere in between, let your EP Henry patio reflect your personal style and provide a focal point for your outdoor living. Tailor your look by adding contrasting patterns and colors, or a seat wall and Fire Pit. Our craftsmanship, attention to detail and superior client service are just a few of the many reasons we are a preferred choice to many who are getting ready to transform their home. We not only tailor our design to fit your style but we work with you to ensure that your needs are meet and that you receive quality products that fit your budget. We specialize in hardscaping. It's what we do and we are proud of it. Knowing the right materials for the job is important and we have carefully hand picked each selection for your consideration. The integrity of your home is important to you and to our company. 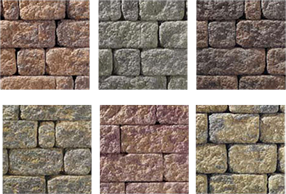 Some of our many selections include patio brick, stone patio and garden stone.